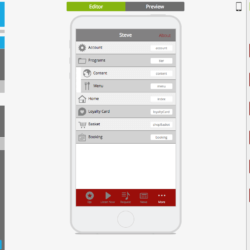 AppInstitute Review - The Right App Maker for Your Project? AppInstitute Review - More than meets the eye? Being the largest app maker from the UK, AppInstitute have been doing pretty well for themselves over their five years of business. The winner of several startup awards states one of their core values is to ‘Deliver Wow’ which, I imagine, must be tough to achieve every time. 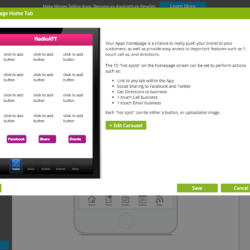 In terms of ecommerce, there’s a lot to like about AppInstitute, as their catalogue options are highly customisable. You can create a multi-level take away menu, or perhaps arrange your online store into departments and brands. Then customers can checkout and pay via PayPal or card, without ever leaving your app. AppInstitute don’t only offer a standard, cloud-based app making platform for their 20,000+ customers, but also bespoke services. Of course, we’ll only be looking at the former, so let’s see how they stack up against the competition! PWA, Android app and iOS app with push notifications and customer management system. The bookings feature is more than it appears. Apart from offering bookable forms, perhaps for a haircut or a massage, you can also create rich events. The events you create can have video, and other content, linked to it and users can then add these to their own calendars. Being able to create multi-level catalogues, or menus, will be very useful for some small businesses out there. And the fact users can browse and pay all within-app is also a bonus. Unfortunately there’s no specific online store integration though. They offer stamp cards, coupons and also the provision for accumulating loyalty ‘points’. This is pretty good, especially seeing as it’s available across all plans. Unlike other app makers, there seems to be a distinct lack of integration options for things such as ecommerce apps and social media. While this may not be a big deal for some, having to rebuild your existing Shopify store from scratch, for example, may seem a bit daunting. Compared to some other app makers, the backend in general, is a little difficult to navigate with some confusing design/UX decisions. Setting up your account and app is very easy, with good step-by-step instructions. The backend structure feels a little complicated and takes a bit getting used to. The editor itself also has a slightly confusing feel, not really reflecting the actual design of the preview/app itself. 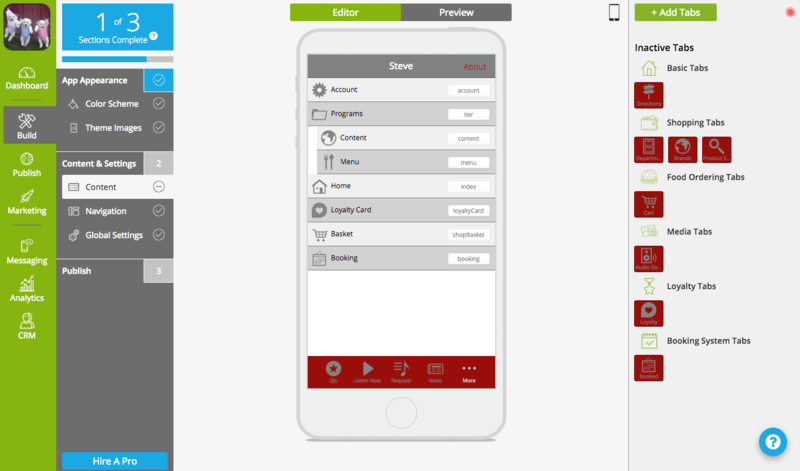 AppInstitute have only one type of template for each type of app category (e.g. Radio, Health, Restaurant). While some are visually better than others, overall the designs could do with an update, and design options within the templates are limited. A handy feature is basing your colour scheme on an existing site. One downside is that you’ll need to rebuild your app from scratch if you decide to change the theme. The interface is only available in English at the moment. There is no multilingual feature. The entry price is for a progressive web app. Like many other app makers, App Institute had to raise their prices to publish to iOS following Apple’s new guidelines. 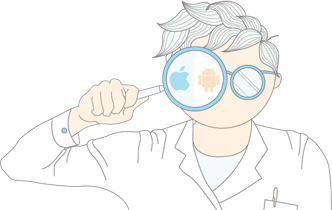 You will need to pay an extra $399 for professional review and submission to the App Store. 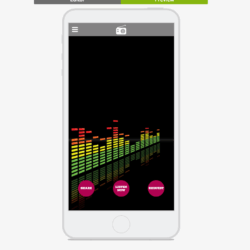 Ad support through AdMob, and you can choose to include ads within most features. Regular push notifications are available on the ‘Core’ tier, with the ‘Professional’ tier also offering geo-fencing and user-group notifications. AppInstitute offer both a directions feature, and a locations feature. The latter is similar to other app makers in that you can create a list of locations that can also be displayed in map view. Although there is no specific integration for popular online stores, you can create your own catalogue (or menu), with quite a bit of customisation. And you can also add a checkout feature, keeping your users in-app throughout the process, and allowing them to pay via PayPal or credit cards. Standard RSS feed options are available, allowing you to connect up news, blogs and more. Like most app makers, many features allow you to input your own HTML, increasing the flexibility of the look and feel of each section. Only basic features linking Facebook and Twitter to your app. In user features, there is a chat module available, but it’s mainly used between the admin and user, not user-to-user. 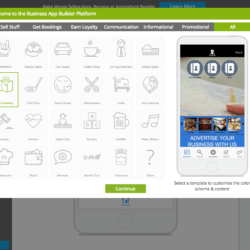 Available on all pricing tiers, AppInstitute offer coupons, stamps and loyalty points features. All can be activated via check-in or QR scanning, and staff redeem them via an input code. This is only available on the ‘Enterprise’ tier. You can download the AppInstitute viewer on both iOS and Android, and it is fast and stable. They have all the basic stats, and also allow Google Analytics integration. Tracking via a CRM of customer actions/booking etc are also available on the ‘Professional’ tier. There are three tiers available for resellers, starting at $120p/m for 5 published apps, up to $960 p/m for 75 apps (ie. these prices are reduced if you pay annually). All plans come with success plans, sales and marketing collateral and in-house training options. The support is fast and friendly, with the staff happy to help in any way they can. Also their knowledge base works well after some getting used to. Make sure you check the tiers though, as different tiers offer different support access. Be sure to check out their resources section too! The only slight negative were a few small bugs found with live chat notifications. While the system isn’t frustrating to use, the backend can be a little overwhelming and confusing. This is mainly due to the amount of information and layout. 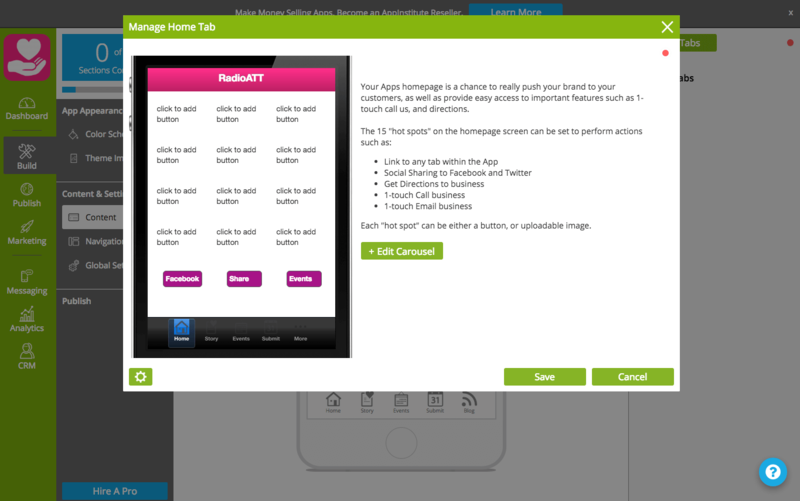 AppInstitute have some very useful features, but they sometimes get lost behind the cluttered interface. 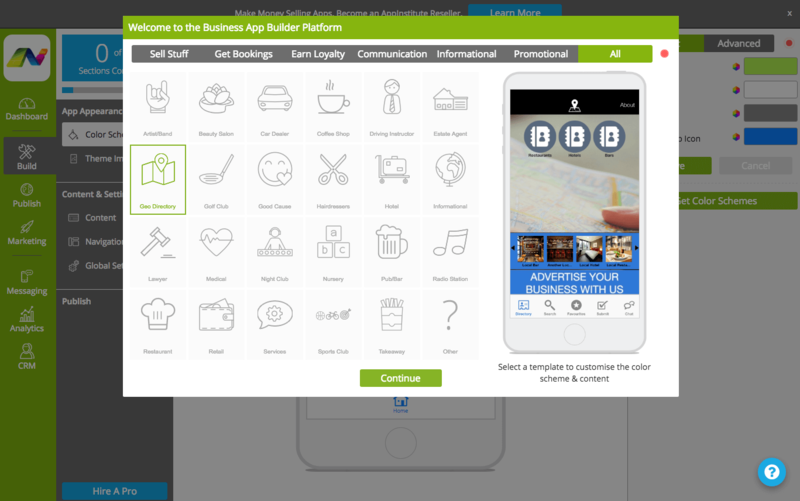 Just like the booking feature mentioned above, AppInstitute are more than they appear. Often their features have more hiding underneath, such as their forms and booking features, it’s just that you might have to do a little digging. Of course, this isn’t always the best for people who are absolute beginners. If you have patience, and take advantage of their great support, then you’ll find they have most of the things small businesses require. And if monetisation is important, they also have you covered, allowing almost all sections to display advertising via AdMob (although, for the sake of your users we don’t recommend you take advantage of every single one). 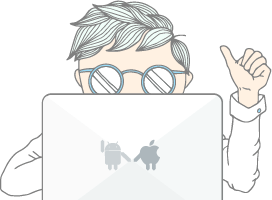 While not the top of the pack, AppInstitute are clearly better than some others and might be worth a look before your next project. Is app store publishing support provided? Only on Premium and Professional tiers. On the starter tier, you only have the Google Play store to publish too, and this will need to be done manually.